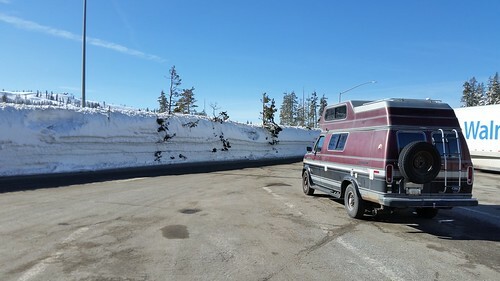 I realized today that I forgot to post the pictures I took at the Donner Summit Rest Area on my way west last Sunday. 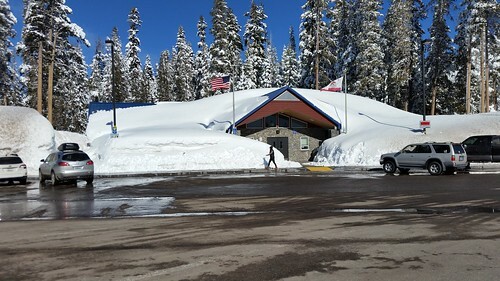 The westbound rest area is all but buried in snow here. The Rolling Stone faces the imposing snowbanks that Caltrans had thrown up. This was on a sunny day some days after the previous storms had subsided sufficiently for Caltrans to do their usual excellent job of clearing the roads. I've never seen this much snow up top before. I bet the skiers are happy.